March 2015 – Monthly forecast for Everyone! 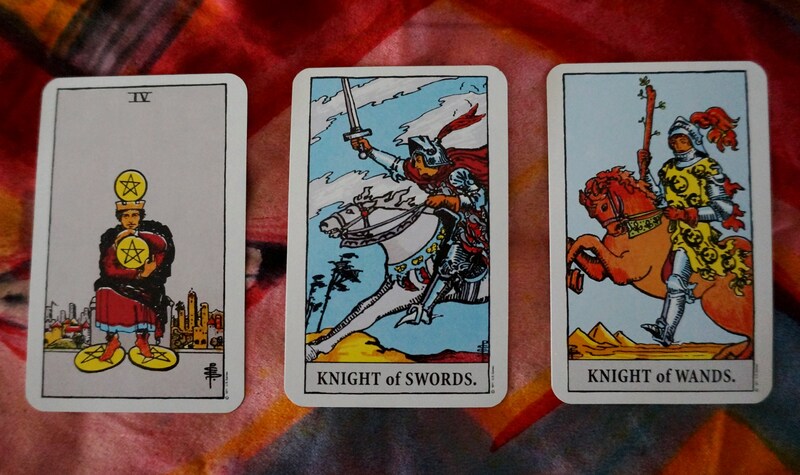 Welcome to the March Tarot Horoscopes! As usual, Spirit has been putting a bug in my ear as to how to channel the information to you each month. 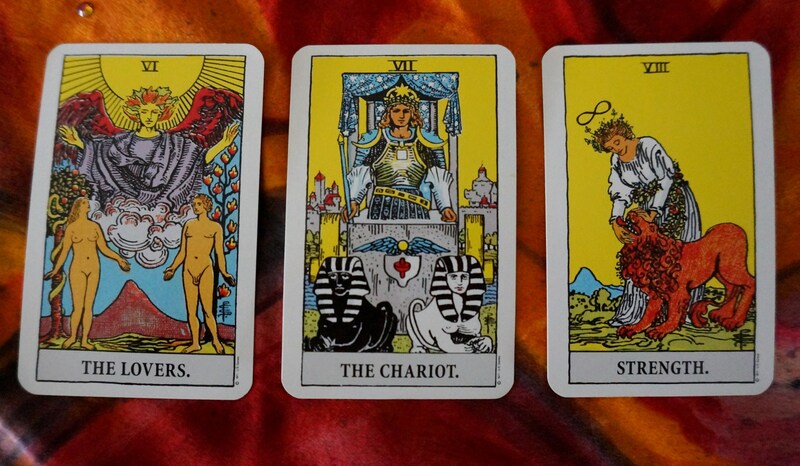 For March, this means understanding the essence of the energy of the Major Arcana. 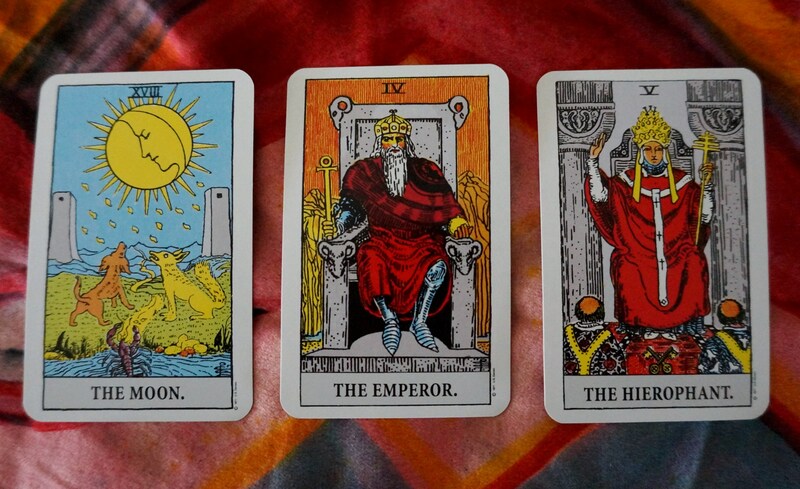 this month, your sun sign horoscope will examine the themes associated with your card (via the Golden Dawn system). Here we go! Enjoy your horoscope, and don;t forget that i’m a phone call, Skype chat, or coffee shop meet-up away if you’d like to move forward with information channeled from your best life coaches ever—Your Guides. Pisces, Happy Birthday! You, Pisces, like Taurus and Libra, are at a crossroads. The energy feels chaotic around you, which makes you feel like you are going backwards—off dry land, andante the ever rising tide of emotions about your situation. But things are not what they seem. Feelings can pass. It’s time to reexamine the feeling of overwhelm in two ways: 1) Is it your feeling, a family member’s feeling, or what you feel are society’s expectations of you? 2) There is some piece of information that needs to come into the light. You are on the right path, once you recognize it as such. but, it needs to be your journey of your own choosing—not one forced upon you by others. Look at things again in the light of day. Take your vast abilities into consideration. You’ve got to figure out how to play to your strengths this month. As you make decisions, try not to get stuck in black-and-white thinking, but instead decide from a place of confidence. You are a strong person, who can be intimidating to others. However, those you let in will be your true allies and friends. You’re peeling back the layers of the onion, and finding new layers to yourself. It’s time to make a major decision – Go one way, or the other? You have the knowledge within yourself to make this decision. Trust yourself, and trust that you are being spiritually guided for the greater good. Choose thoughtfully, weighing both paths. It’s time to focus on your relationships. This could be a best friend or a love-type relationship. You need to bask in the feeling of being loved and knowing someone dear to you “has your back.” But to do this, you need to unify your divided nature and give what you want to get. You have to remember to be a friend, be a lover, be a parent. You’ll be blessed by the flowering of old relationships in new ways. Why are you running, Cancerian? What you need is perspective, not necessarily movement. It’s fine to get out of town for a weekend and let your responsibility sit there—they’ll wait until you return. Give yourself a little rest and relaxation this month, because it’s going to be a busy Spring/Summer for you at work! Remember that you do not have to take on everything on your own—you hold the reins to your chariot. You’re driving. It’s time to tame the beast within—to tame the addictions within before they grow and gain a life of their own. Are you addicted to alcohol, food, overwork, the internet? It might be time to take a little break from what’s ailing you to regain some balance. Trust your gut to help you decide what will bring some balance into your life. You are surrounded by support. Be gentle with yourself and those around you. Virgo, why are you hiding? It’s noble to sequester yourself away for the sake of working on a degree, or taking time to listen to Spirit. Know now that you can take that knowledge, that learning where ever you go. You may feel you need to study and learn awhile longer, but the time is coming where you’ll need to share your light, your ideas, your knowledge with the world. You need to show others the light of your unique perspective. Give them the opportunity to get on board. Dear Libra. You, like Taurus, also need to make an important decision his month. You’ve been so patient with those around you. However, you don’t have the information you need to make this decision. Additional information has been kept from you—either inadvertently, or on purpose. Use your discerning nature to obtain this information so that you can move on to the next great thing. You’re deserving and you’ve waited long enough. It’s the end of an era for you, Scorpio, and it’s time to let go. The wonderful thing is—there’s a new dawn, a new time of joy that will enter your life sooner than you think. If you can let yourself truly let go of the old—the new is going to be better than you ever imagined. Depending on the person—Spirit is passing along a number of Scorpios and their situations. These include a death in the past 2-3 years, a breakup of a relationship, an old career/job just to start. There’s also older beliefs and thoughts that are holding Scorpios back at this time. Put your regrets on a slip of paper, then get rid of it. Burn it, let it drift from a moving car window, or flush it down the toilet (small piece of paper! ), or whatever you need to do to let go and move forward. You are in the zone right now., focused Enjoy the fruits of your labors. Enjoy the people around you. Enjoy the majesty of Nature and her glory. Spirit has shown you a way through, and you’re successfully navigating that path—the third option that you weren’t sure would actually work. Know that more accomplishments in family life, spirituality, and creativity will be coming this Spring. Of course, Spirit thinks it’s amusing to channel the song, “Devil with a Blue Dress.” While bad habits are seductive, while bad situations seem like the only option, you actually have the world available to you. But—it’s your choice. 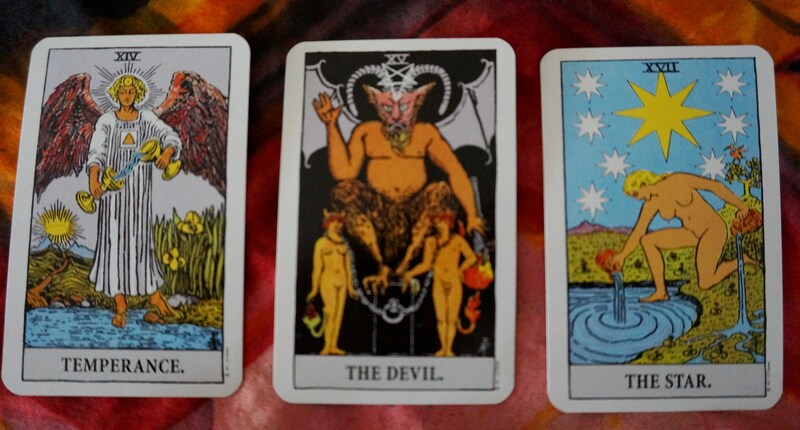 Spirit would like to see you joyous and successful in life, dancing away to “Devil in the Blue Dress,” and making fun of the person, institution, habit, or old thinking that once bound you. You can slip the chains that bind you off from over your head and walk away. No one’s stopping you but yourself. This is a time for gaining balance between the emotional and practical sides of yourself. Know that you are supported by Spirit, the Pleiades, and the Angels—however you see them. This is a time where your next set of hopes and dreams will start to become clear. The dreams you originally wanted may not be what’s intended for you at this time, but those new dreams will be right on target. You’re not the same person you were when you chose your old dreams. You’re new, improved, supported, and will start feeling support of that small still voice. The birds will begin to sing again. Horoscopes are for entertainment only. Please contact the appropriate professional fir health, financial, or other matters. 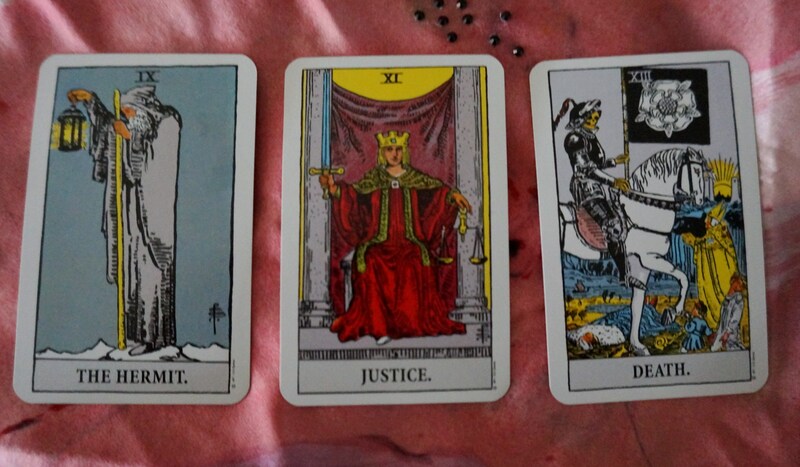 This entry was posted in Uncategorized and tagged horoscope, tarot on February 28, 2015 by christinethepsychic.